Have you ever wondered how inflation works? In 2008, one litre Nandini toned milk cost ₹18 in Bangalore. In 2018, the same one litre milk packet costs ₹35. This price rise is caused by inflation. Inflation is the increase in the price of a commodity (either goods or service) over a period of time. It is the reduction in the purchase power of the currency of a specific economy. 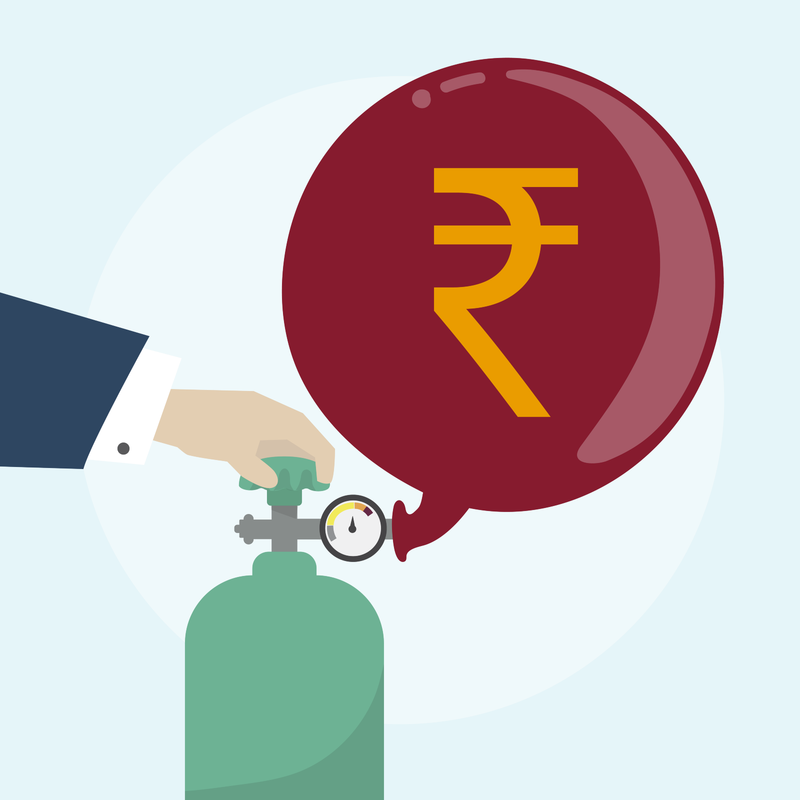 In this article, we will outline what you should do to stay ahead of inflation. Inflation rates differ from one economy to another. Similarly, the ways in which inflation is calculated also differs. In India, the two most commonly used measures to calculate inflation are CPI and WPI. WPI, or Wholesale Price Index, computes the price rise of a commodity at the wholesale level. WPI does not take the service sector (such as education and healthcare sectors) into consideration in its calculations, and instead just focuses on manufactured goods. It was used as a measure to calculate inflation in India up-to March, 2014. The price rise that a consumer faces while purchasing a product is known as Consumer Price Index. Unlike WPI, CPI takes the service sector and the final price of commodities (including middlemen’s charges) into consideration. This ensures that CPI gives a more accurate depiction of what the customer faces. CPI has been adopted as the measure of calculating inflation in India since April, 2014. The two most common reasons for inflation are Demand Pull and Cost Push. When there is extremely high demand for a product which is limited in supply, its price increases due to Demand Pull. During festive seasons, there is a huge demand for flight and bus tickets. But operators have the same limited number of seats to meet this demand. So, what they end up doing is they increase ticket prices. This is how Demand Pull works. When the cost of production increases (such as wages and raw materials), it results in the increase in the final price of the product. This is known as Cost Push. An example is when the prices of crude oil increases, it results in the increase in the increase of transportation cost. This will in turn result in the increase in the price of goods and services. This is how Cost Push works. Over the last 10 years, the average rate of inflation in India has been 6% p.a. The purchasing power of your money will reduce if you leave it idle. Even leaving it in a bank account is not helpful, since the bank rate of interest are lower than the rate of inflation. As an investor, it is essential that you invest your savings in the right financial instruments. You should be looking to gain returns that are higher than 6%. By doing this, you are ensuring that your savings do not decrease in value. If the value of milk increases over ten years, so should the value of your savings. So, what are you waiting for?